Is It Time For London To Try Basic Income? Londonist Is It Time For London To Try Basic Income? 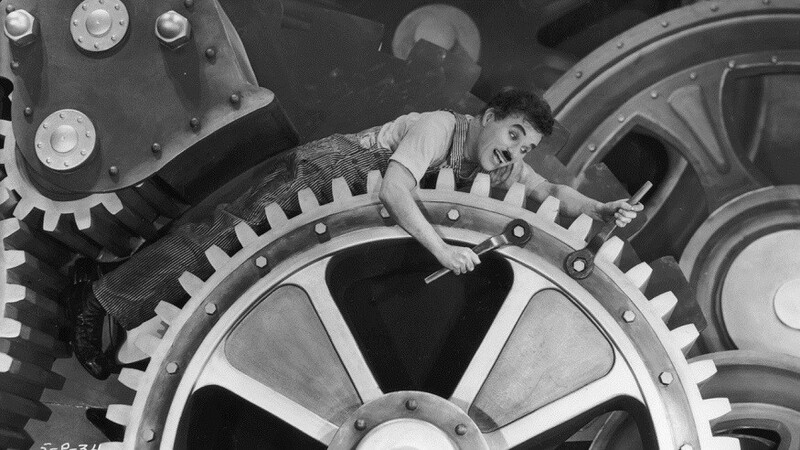 Charlie Chaplin in Modern Times — we don't have to live like this. Whether it’s confronting the escalating cost of housing, the increase in precarious and temporary work, the proliferation of foodbanks, or an increasingly punitive welfare system, London is becoming a difficult place to live for many people. One possible solution to these problems is to introduce what’s known as Unconditional Basic Income (UBI), a proposal now attracting a lot of buzz in Europe. UBI is the provision of a fixed income for every qualifying citizen irrespective of work or monies accrued elsewhere. It has the potential to reduce working hours and completely alter lifestyle priorities. Sounds crazy? Maybe — but this year the Dutch city of Utrecht said it will run a major trial, while Switzerland has gone further and is set to hold a national referendum on its introduction. The Finnish government is also considering an €800 per month dividend for all its citizens. It may seem like a radical notion — Utopian even — but with others willing to give it a run up the flag pole, why not London too? It’s surely an idea worth looking at, especially in light of the ongoing assault by this government on our welfare system. If the old system really isn’t fit for purpose, why not work for one that is? There is a growing movement in the capital for UBI; just this month, a forum featuring musician Brian Eno, anarchist-anthropologist David Graeber and economist Frances Coppola took place. 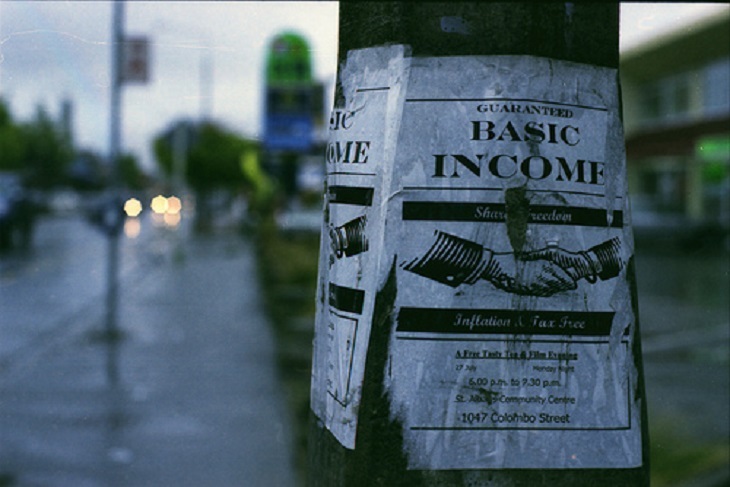 Basic Income UK also hosts popular debates in London about the topic, while the Citizen’s Income Trust has mocked up a cost-analysis of how the policy might work in practice. Why is the idea of Unconditional Basic Income making waves? One key argument for adopting basic income — counterintuitive though it may sound — is that it could help tackle unemployment. When people are in receipt of a sufficiently high basic income, which does not taper away as income gained through work increases, they will be more willing to take on lower paid work. If work only ever provides extra income, rather than cutting into benefits, there is always an incentive to work. The new Dutch experiments are intended to measure these work-incentive effects to see what will happen in practice. Opponents who argue that introducing basic income will turn people into lacklustre zombies, unwilling to participate in the labour market, are basing their view on blind prejudice and most experts predict that the trials will see a boost in productivity as people will start to choose their own endeavours. How would we implement UBI in London? An obvious starting point in any discussion of basic income is: how much would everyone get? Would someone living in one of the poorer boroughs get the same amount as someone living in, say, Kensington? A large part of the idea’s charm is the massive reduction of bureaucracy it would accomplish — something that has the potential to be cheered at both ends of the political spectrum. This charm dissipates once you start reintroducing new rules and stipulations. In other words, yes, in the name of bureaucratic simplicity the UBI will be the same wherever you live, but if you’re living in more expensive parts of London, the cost of living means you’re effectively paying a premium (importantly though, UBI will be there to help pay that premium). With this in mind, there are probably going to be different answers to organisational issues like: exactly how much UBI is provided, who is to be recognised as a ‘qualifying citizen’, and what other policies will accompany its introduction? In London, for example, without substantial and bold moves on housing policy — including building new properties, introducing rent caps and improving tenant security — any increased income could simply be soaked up by landlords who would be more than happy to take advantage of newly-injected monies. One possible way to move toward implementing the idea would be to run pilot schemes like those in The Netherlands — something London has shown willingness to do with similarly unconventional concepts such as the Brixton Pound. Why not run a scheme where recipients of housing benefit in one London borough get a small, additional basic income on top? That would provide a way to trace the effects in a limited way. Or perhaps, more entertainingly, we could ask the BBC (whose license fee we pay for) to run a reality show like Life On Benefits, so we can learn more. A golden future for all? Some advocates believe Unconditional Basic Income could offer a more human alternative to today’s economic and political system which tends to treat people like drones who exist simply to produce, consume and occasionally vote. Andre Gorz, the late Austrian-French social philosopher, envisaged UBI as the means by which tedious, dangerous and unedifying work could be replaced by the free-association of individuals. His vision sees people co-developing their imaginative and creative capacities away from the banalities of the workplace. Think of The Clash as a loose example: they were explicit defenders of the role the dole played in their own artistic endeavours (back when the dole was £9.70 a week). Essentially, they made state-sponsored punk rock which would probably never have happened were it not for the time and space they got to spend on their art instead of living hand-to-mouth as they looked for menial work. Now think of all the great stuff we’re not enjoying as a result of current welfare legislation policies. And think of all the potential for income-generating creative endeavours if basic income schemes were rolled out. Does the policy have a chance in the current domestic climate? At first blush, the answer would seem to be a resounding no. A government intent on austerity is not going to have much truck with this kind of welfare reform. A slightly more optimistic answer to the same question though might be: we don’t know until we try. People often cite the gains made by civil rights and feminist movements to suggest that what we currently regard as impossible will be seen as common sense tomorrow. There is an obvious truth to these claims but those fights were long and hard fought and depended on a convergence of various lines of political, economic and social fracturing. We may see similar fractures today, but do we have a clear sense of how to confront them? How long will it take us to learn to navigate our new realities with the same political expertise that arose in times of perhaps more clearly-defined injustice? One thing is obvious: we are collectively confronting some seismic challenges at the moment, in London, in the UK and on across Europe. An idea like Unconditional Basic Income might seem radical, but its growing popularity represents the recognition that the old strategies are no longer up to muster and that serious, fresh new thinking for the future is required. A new year is upon us; do we really want to head into it without considering such promising new possibilities?